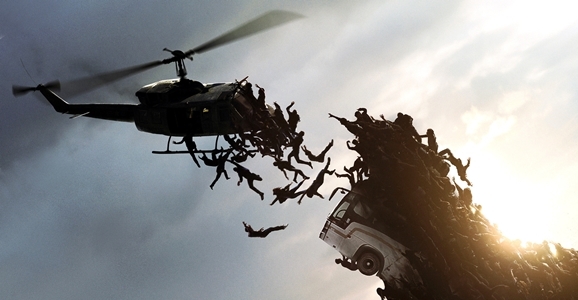 World War Z was one of the biggest surprises of the summer, proving damn near everybody wrong and taking in half a billion dollars worldwide. The movie that many predicted to be an utter train wreck was such an unexpected success that there’s a very real possibility that it will get a sequel a few years down the line. It definitely deviated from Max Brooks’ brilliant novel, but it’s still up for debate whether it succeeded on its own strengths or not. 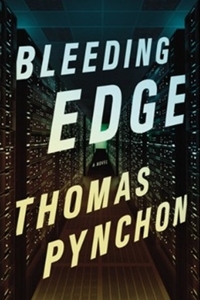 And who knows, maybe the sequel will be more faithful to the spirit and tone of Brooks’ work. Here’s what’s new This Week in Science Fiction! This looks to be fantasy rather than science fiction, but it’s still a noteworthy premiere and it was written by Star Trek Into Darkness’s Roberto Orci and Alex Kurtzman. Adjust your expectations accordingly. Under the Dome (CBS, 10/9c) — “Curtains” Season finale! Season 1 ends with secrets of the Dome being revealed, and Big Jim becoming determined to put an end to Barbie once and for all. Meanwhile, Junior, Angie, Joe and Norrie discover who the Monarch is after receiving a shocking visit from a familiar face. This new edition of George Romero’s third “…of the Dead” film includes behind-the-scenes interviews and featurettes, as well as an audio commentary with Romero, special make-up effects artist Tom Savini, production designer Cletus Anderson, and actress Lori Cardille (Sarah). This is an odd little Who curiosity. The flash-animated story was put together in 2003, for the show’s fortieth anniversary. It picked up the Doctor’s adventures in the aftermath of the 1996 Fox TV movie starring Paul McGann. It got booted out of the canon when Russell T Davies resurrected the show with Christopher Eccleston and Billie Piper in 2004. Technically you don’t even need to pick up this DVD to see Scream of the Shalka: it’s still watchable on the BBC’s website. The show seems to be a month early: tonight’s episode has the contestants reimagining classic Halloween characters. ‘Hullo,’ I said to myself. ‘That’s not something you see every day.’ And then something odd happened. Season finale! The show’s first season wraps up as the cosplayers try to triumph in the team competition at Kansas City’s Planet Comicon. 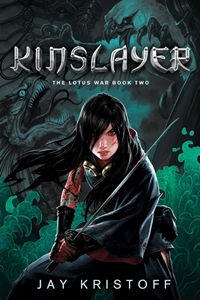 Kinslayer is Book Two in Jay Kristoff’s critically acclaimed Lotus War series that began with Stormdancer, featuring an unforgettable heroine and a stunningly original Japanese dystopian steampunk world. The mad Shōgun Yoritomo has been assassinated by the Stormdancer Yukiko, and the threat of civil war looms over the Shima Imperium. The toxic blood lotus flower continues to ravage the land, the deadlands splitting wider by the day. The machine-worshippers of the Lotus Guild conspire to renew the nation’s broken dynasty and crush the growing rebellion simultaneously — by endorsing a new Shōgun who desires nothing more than to see Yukiko dead. Offered the job of assessing the ecological impact of the human presence on Stittara, freelance consultant Dr. Paulo Verano jumps at the chance to escape the ruin of his personal life. He gets far more than he bargained for: Stittara’s atmosphere is populated with skytubes — gigantic, mysterious airborne organisms that drift like clouds above the surface of the planet. 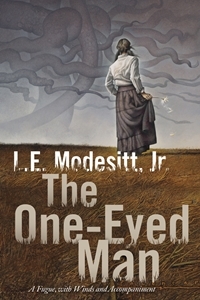 Their exact nature has eluded humanity for centuries, but Verano believes his conclusions about Stittara may hinge on understanding the skytubes’ role in the planet’s ecology — if he survives the hurricane winds, distrustful settlers, and secret agendas that impede his investigation at every turn. 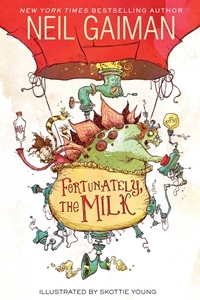 In the not-too-distant future, thirty-seven-year-old Sandy lives a challenging and unfamiliar life. She survives by fishing, farming, and beekeeping on an isolated island with her partner, Marvin, and friend, Thomson. When the footprints of a thieving child start appearing in their garden, the family must come together to protect both the child and their fragile community. In the face of scarcity, Sandy still dreams of being a mother. The thought of a child compels her to revisit her earlier life in a city plagued by power outages, unemployment, and protests. There she met Marvin and joined his violent cause, initiating a chain of events that led to tragic and life-altering consequences. 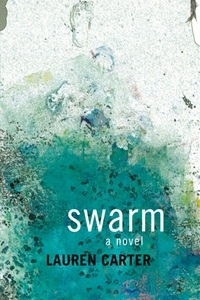 A powerful debut novel, Swarm is about persevering in a time of shrinking options, and coming to terms with regrettable choices. WikiWorld contains a choice assortment of Di Filippo’s best and most recent work. The title story, a radical envisioning of near-future sociopolitical modes, received accolades from both Cory Doctorow and Warren Ellis. In addition, there are alternate history adventures such as “Yes We Have No Bananas” (which critic Gary Wolfe called “a new kind of science fiction”); homages to icons such as Stanislaw Lem (“The New Cyberiad”); collaborations with Rudy Rucker and Damien Broderick; and a posthuman odyssey (“Waves and Smart Magma”). 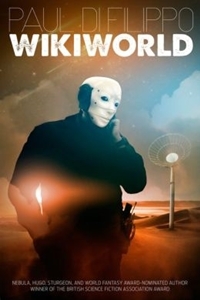 WikiWorld is the best of the best from this British Science Fiction Association Award-winning and Nebula, Hugo, Sturgeon, and World Fantasy Award-nominated author. ‘Believers,’ Part 4 of 5: A new government conspiracy comes to light that involves weather control and alien invasion. But what role does the Deacon and the Acolytes play in these mechanations? And what happened to Scully’s missing child? 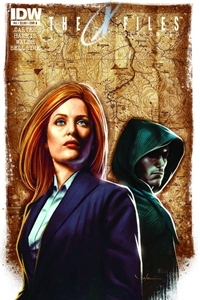 Mystery upon mystery sets the stage for the next phase of Mulder and Scully’s lives! The very far future: The Galaxy is a drifting wreck of black holes, neutron stars, chill white dwarfs. The age of star formation is long past. Yet there is life here, feeding off the energies of the stellar remnants, and there is mind, a tremendous Galaxy-spanning intelligence each of whose thoughts lasts a hundred thousand years. 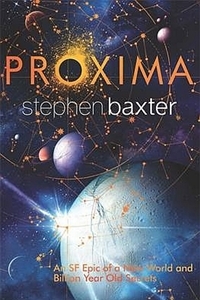 And this mind cradles memories of a long-gone age when a more compact universe was full of light…The 27th century: Proxima Centauri, an undistinguished red dwarf star, is the nearest star to our sun — and (in this fiction), the nearest to host a world, Proxima IV, habitable by humans. But Proxima IV is unlike Earth in many ways. Huddling close to the warmth, orbiting in weeks, it keeps one face to its parent star at all times. The ‘substellar point’, with the star forever overhead, is a blasted desert, and the ‘antistellar point’ on the far side is under an ice cap in perpetual darkness. How would it be to live on such a world? Needle ships fall from Proxima IV’s sky. Yuri Jones, with 1000 others, is about to find out…PROXIMA tells the amazing tale of how we colonise a harsh new eden, and the secret we find there that will change our role in the Universe for ever. If you skipped Revolution and want to play catch-up before the new season premieres on September 25, Syfy is running a marathon of the show all day. For some reason, however, they’re starting with episode 5, “Soul Train,” and then running all the way through the first season finale. It’s an odd choice, but then again, the first half of the season is less than stellar, so skipping some of the earlier eps isn’t necessarily a bad thing. Starring Bill Paxton and Laurence Fishburne, The Colony is set during a new ice age, with pockets of humanity eking out a bleak, subterranean existence. After receiving a distress signal from another settlement, a group from Colony 7 goes to investigate and finds a threat much more terrifying than the cold. Somehow this horrible sci-fi sitcom has survived into a second season, although it has been banished to a Friday-night death slot. Here’s hoping that finishes it off.